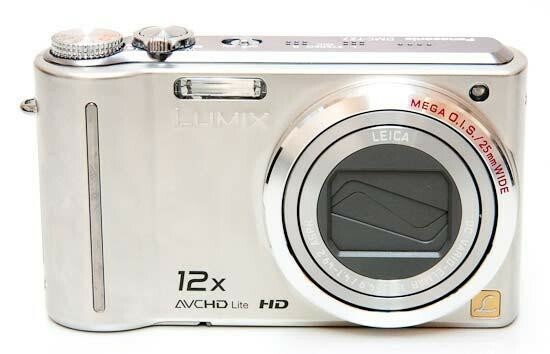 Reviews of the Panasonic Lumix DMC-TZ7 from around the web. Panasonic’s Lumix DMC-TZ7 (or ZS3 as it’s known in North America) is a 10.1 Megapixel compact with a detailed 3in screen, HD video recording and a 12x optically-stabilised zoom. Launched in January 2009, exactly one year after the best-selling Lumix TZ5, the new model further enhances Panasonic’s enormously popular travel-zoom line. The core premise of its predecessors remains the same though: packing a flexible super-zoom lens range into a pocketable compact camera. The list is impressive: it has a new compact 12x zoom image-stabilised Leica lens with a maximum aperture of f/3.3-f/4.9 and a focal length range equivalent to 25-300mm, an impressively sharp 3.0-inch 460,000 dot wide-view LCD monitor, a dual-processor Venus Engine HD, and most significantly is has 1280 x 720 pixel HD video recording with stereo sound and full optical zoom capability. It uses the advanced AVCHD Lite recording system, a video encoding format designed for solid-state camcorders. The TZ6 is very similar, but lacks the HD video mode and has a smaller 2.7-inch 230k monitor. The Panasonic Lumix DMC-ZS3 ($399) is the follow-up to the extremely popular DMC-TZ5. I was a big fan of the TZ5, which put a 10X zoom lens, a beautiful 3-inch LCD, and HD movie recording into a small package. I've "sold" a few friends on it, and they absolutely love it. The DMC-ZS3 takes everything that was great about the TZ5 and improves upon it. You get a wider, more powerful zoom lens, a new image processor, improved face detection, and an HD movie mode. And that's on top of all the other great features that haven't changed, which I'll cover throughout this article!